Laurens, Iowa has been chosen as the very first community to participate in the Art Wave on the Prairie program created by David Dahlquist of RDG Planning & Design and Keep Iowa Beautiful (KIB). A nationally-recognized pubic artist and teacher, Dahlquist, is known for his work at the RDG Dahlquist Art Studio. Dahlquist was presented with the Donald F. Lamberti Hometown Pride Vision Award in March 2017 by former Governor Terry Branstad. Five years ago, KIB started this award to recognize those Iowans who work to improve and enhance the quality of our state. 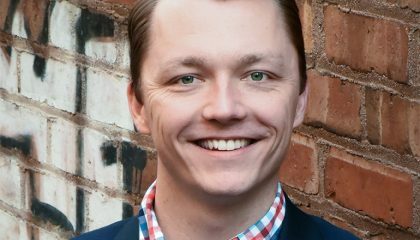 With the leadership of RDG, David has, and continues to, inspire the world by bringing art into our communities. Since 1988, he has completed more than 60 large-scale public commissions across the country. This program honor’s David’s work with RDG Planning & Design, the Dahlquist Art Studioand KIB’s collaboration and the contributions to Iowa that they have made. Art Wave on the Prairie engages small, rural Iowa communities with emerging artists to create strong community connections and enhance economic development. Five hand-picked Iowa artists from a variety of disciplines will travel to Laurens from July 25-28 to engage and interact with the community, encourage conversation around community assets and issues, and work toward a common goal through art. The artists will use a “social practice” model to determine art forms and deliverables that will be presented to the community at the final reveal on Saturday, July 28. The artist team includes: Andy Davis of New York City (originally from Des Moines), Allison McGuire of Oskaloosa, Jennifer Drinkwater of Ames, and Ryk Weiss and Pam Dennis of Ogden. 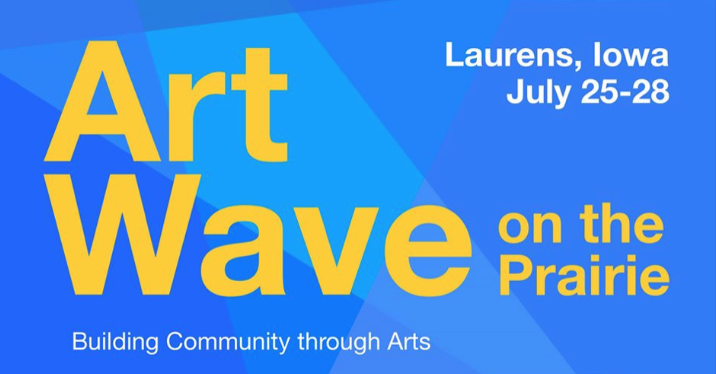 The public is invited to join the artist team and others on Saturday, July 28 at 4 pm in Memory Lane in downtown Laurens for the final reveal of the Art Wave on the Prairie program. This event will celebrate the community and the role of the arts in community building. Click here for more details! Keep Iowa Beautiful was established in 2000 by Co-Founders Robert D. Ray and Donald F. Lamberti becoming the 23rdState Affiliate of Keep America Beautiful. It is a 501c3 charitable organization working with Iowa citizens, neighborhoods and communities in improving the quality, beauty and cleanliness of our State. KIB is building stronger communities to develop sustainable futures. 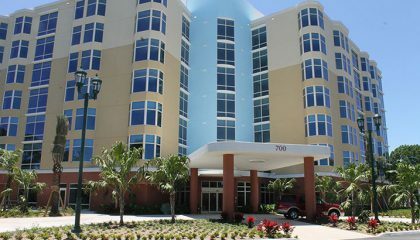 For additional information, visit www.keepiowabeautiful.com.